We took our original Wholistic Run Free™ formula and created our new function soft chews! 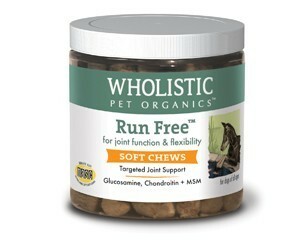 Wholistic Run Free™ Soft Chews are a synergistic blend of proven nutraceuticals that provide superior joint support. 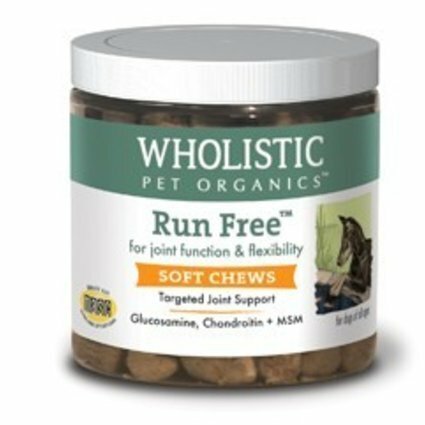 Wholistic Run Free™ Soft Chews exclusively target joints and their supportive structures all in a convenient soft chew! Use before or after dinner or as a treat! Wholistic Run Free™ Soft Chews have the same great palatability, potency, and quality you come to expect from Wholistic Pet Organics! Can be given during or after mealtime. Administer daily. Can be used as a treat between meals.